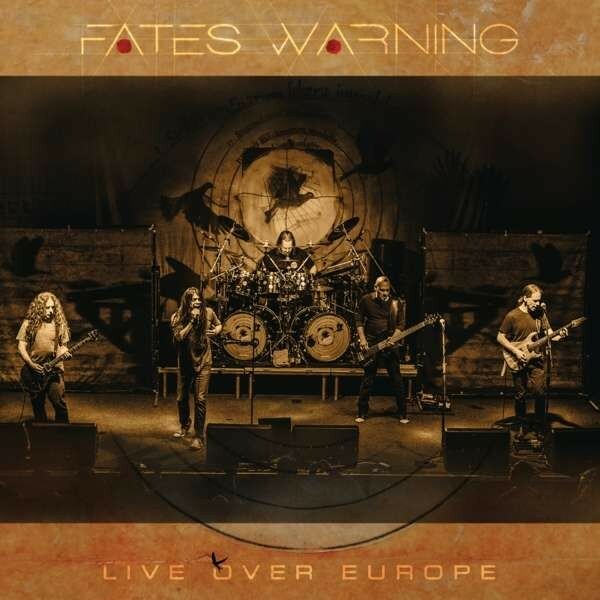 Fates Warning remain one of the most remarkable and vastly underrated Progressive Metal bands there has ever been. With such a stellar line-up featuring: the fabulous vocalist extraordinaire Ray Alder, the magnificent, compositional genius guitarist Jim Matheos, the amazing Armored Saint and ex Anthrax bassist Joey Vera, the extremely talented sticks-man Bobby Jarzombek (who's played with Rob Halford, Sebastian Bach, John West of Royal Hunt, Iced Earth and Riot amongst many others), and accomplished second guitarist Mike Abdow (from Last Chance To Reason and Aquanett), who's standing in for the equally amazingly talented and Fates Warning alumni Frank Aresti. 'Live Over Europe' is the band's third live release, and first to feature the current line-up, and was recorded in January of this year in Aschaffenburg, Germany, Belgrade in Serbia, Thessaloniki and Athens in Greece, Rome and Milan in Italy, Budapest, Hungary and Ljubljana in Slovenia as they toured Europe in support of their most recent album, 2016's 'Theories Of Flight'. From that very album they perform the first half of it – 'From The Rooftops', 'Seven Stars', 'SOS. ', and 'The Light And Shade Of Things' from a 2CD Mediabook and 3LP (with 2CD) gatefold release containing twenty-three songs that give you over two and a quarter hours of creative and spellbinding music. Although the live sound has been equalised by 'Theories Of Flight' mixer Jens Bogren, and mastered by Tony Lindgren to achieve the optimum commercial sound, it still gives you the impression of being there with the crowd noise and participation intact. Being able to hear all the instrumentation in situ without losing the genuine live feel that was at each of those nights is a job well done. A band of this magnitude deserves to be appreciated with the best sound that modern technology can offer, and although there will be a multitude of raw live recordings doing the rounds, what is captured here is well worth spending the extra money on. 'Silent Cries' from Ray Alder's first album with the band, 1988's 'No Exit', is featured and will excite long-term fans, whilst from the acclaimed follow-up, 1989's 'Perfect Symmetry', where they became more progressive and less "thrashy", 'Nothing Left To Say' and 'Through Different Eyes' are given superb work-outs. I can't praise this album highly enough – Fates Warning fans will be in seventh heaven, but for those that missed out first time around, don't make the same mistake again!